Last week, TIME Magazine announced its Person of the Year was several people: the Silence Breakers. Though multiple high-profile sexual harassment cases broke this year, the New York Times’ story about Hollywood producer Harvey Weinstein’s multiple sexual harassment allegations was a tipping point for how such allegations are received. Actor Alyssa Milano invited women to tweet ‘#MeToo’ if they’d experienced sexual assault or harassment. If you’re like me, you might’ve thought, glibly, what woman doesn’t have her own story of assault or harassment? Almost immediately, the floodgates opened. The original “#MeToo” movement actually started a decade ago by African-American activist Tarana Burke, with the aim of giving a voice to and supporting sexual assault survivors in underprivileged communities. Burke was overcome with a sense of powerlessness after a young woman approached her at a youth camp and shared in detail how she was being assaulted by her mother’s boyfriend. Horrified and reminded of her own trauma, Burke stopped her after a few minutes and tried to redirect her to another counselor. “I watched her walk away from me as she tried to recapture her secrets and tuck them back into their hiding place,” Burke told CNN. “I watched her put her mask back on and go back into the world like she was all alone and I couldn’t even bring myself to whisper, ‘me too. '” Burke went on to become the program director of Brooklyn-based Girls for Gender Equity, which aims to empower young women of color – the root of the movement – to help other young women of color who’ve survived sexual abuse. Millions of people have since used #MeToo to share their own stories of harassment and abuse. Emboldened by the tidal wave of support, many others out with allegations against powerful figures, including Louis CK, Jeffrey Tambor, Alabama senate candidate Roy Moore, NYT reporter Glenn Thrush, Matt Lauer and more. Recognizing the movement only gained steam when high-profile white women came forward, TIME’s spread also included women of color, women working in service-oriented jobs, women who felt they needed to remain anonymous, and men who’d been assaulted or harassed. The story started an international conversation about men’s behavior toward women and the imbalance of power that pervades every industry, not just film, theatre, sport, politics, education, and journalism. As of December, 2017, more than 69,000 people have replied to Milano’s tweet, and the #MeToo hashtag has been used more than 1.7 million times in 85 countries. The Spanish used #YoTambien, the French #BalanceTonPorc, the Italians #QuellaVoltaChe, and the hashtags وأنا_كمان# and ‏وانا_ايضا# were widespread in Arab countries. Some of #MeToo’s critics argue it places undue stress on the victims of abuse to come forward. Others argued that good men will be among those accused, and their careers would be ruined. Announcing his resignation on December 7th after seven women accused him of harassment and 32 senators from his own party demanded he step down, Senator Al Franken said, “the irony in the fact that I am leaving while a man who has bragged on tape about his history of sexual assault sits in the Oval Office, and a man who has repeatedly preyed on young girls campaigns for the Senate with the full backing of his party.” Franken apologized to his first accusers and invited an ethics investigation, knowing he’d be cleared of wrongdoing. Masha Gesson opined in the New Yorker that #MeToo is a selective force that only affects half of the U.S.— the Democratic half. Regardless of justice, the mere act of speaking—of breaking taboos—is a powerful one. 1.7 million mentions across 85 countries later, the question becomes: what now? While #MeToo is an example of the emergence of the power of social movements in the age of the internet and public dialogue, in order for it to have lasting impact, it needs to become more than a successful social media awareness campaign. In uncovering the colossal scale of sexual assault, this campaign feels almost revolutionary in the way it empowered victims to speak out. Though words are undoubtedly powerful, people must act to ensure this year’s social media firestorm isn’t next year’s flash in the pan. Tweets may have the power to amplify discourse, but actions speak louder than words. 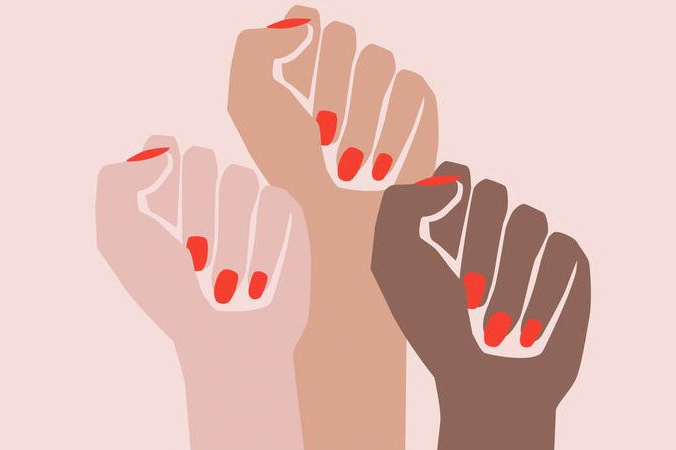 Bringing #MeToo beyond social media and into organizing platforms aimed at applying pressure on existing political systems with concrete campaigns and actions is key. Supporting the efforts of groups such as the National Organization for Women, Girls Inc and Planned Parenthood is one way to mobilize. Another is to go directly to your government representative and ask them to make policies that fight sexual harassment and assault a priority.